Get on the fast track to premier visibility and effective and unique brand awareness. Our prestige collection is at your disposal to customise and wrap in eye-catching advertising designs. 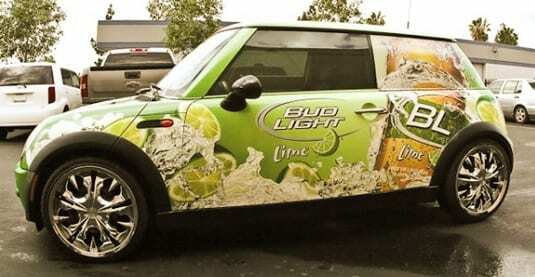 Loue la Vie custom vinyl wraps an effective gateway to high visibility and turbo-charging your bottom line. Get in touch and show it off……in style! 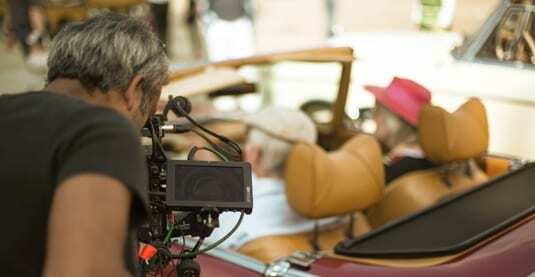 Looking for a versatile and show stopping exotic or classic car to hire in your upcoming movie production? Loue la Vie offers you a wealth of exhilarating cars that are guaranteed to make a mark. We can offer an array of exotics such as Ferrari, Lamborghini, Porsche, BMW, Mercedes, Lotus, Bentley or any thing you can think of, even antique classics or European cars. We also offer picture car coronation , drivers, transport anywhere in Canada. We understand the power of making a splash. Loue la Vie works in close alliance with professional communication and event design agencies. We help add that extra value to your corporate events with an extra dose of rocket powered sophistication. Your company sponsored golf tournaments, picnic or special event can too benefit from Loue la Vie fleet of show –stopping cars. Incoming client requires VIP treatment while in town? Not a problem! And coming summer 2017 custom design rallies for your clients!